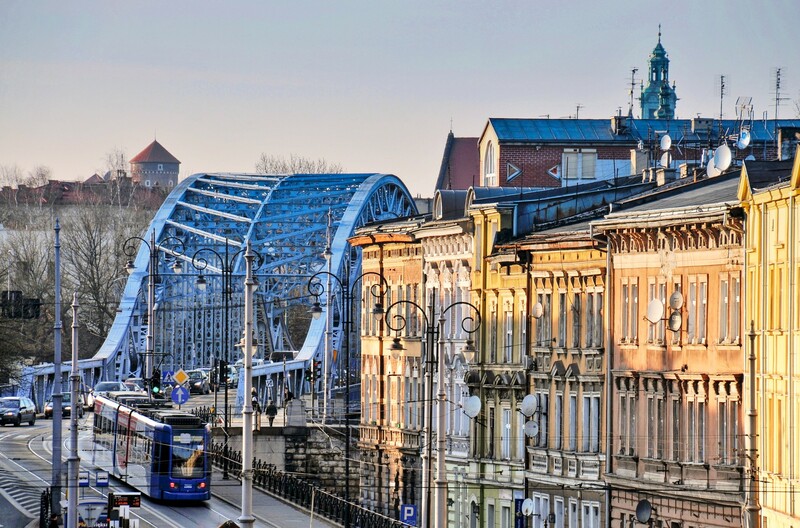 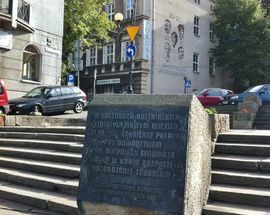 Directly over the Piłsudski Bridge in Podgórze, this sizeable public square played an important role in the city's history when it became the site of the first actions of the 1918 'Liberation of Kraków.' 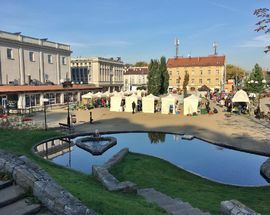 While today the western side of the square is dominated by the communist-era Korona swimming and sports complex, a century ago - at a time when Poland was partitioned and Kraków was part of Austrian-occupied Galicia - it was the site of the Kalwaryjska army barracks, and occupied by an Austrian garrison. 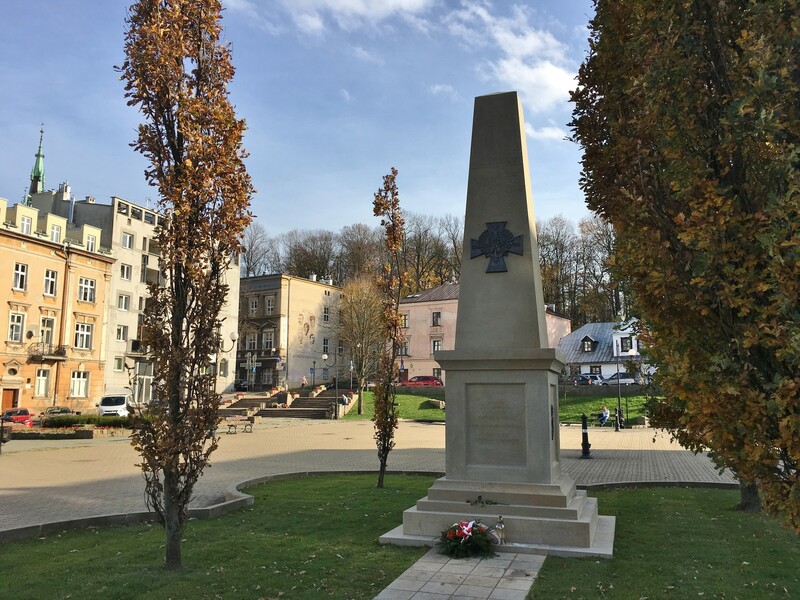 In a revolt organised and led by Antoni Stawarz (whose image you'll find on a large mural at the far end of the square), it was here on October 31st, 1918, that Polish soldiers put on the national colours, attacked the barracks and managed to take over command without a shot being fired. 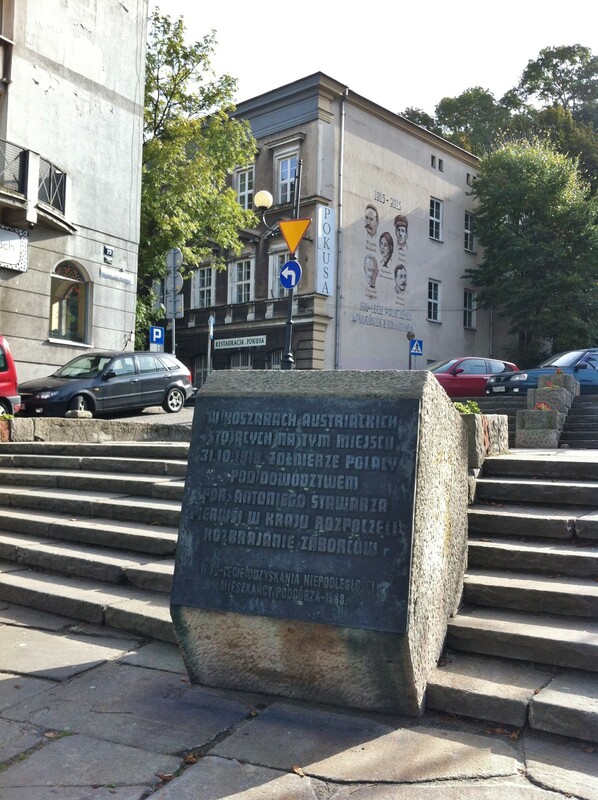 As such, Podgórze was the first place in Poland to regain its independence after 72 years of Austrian occupation. 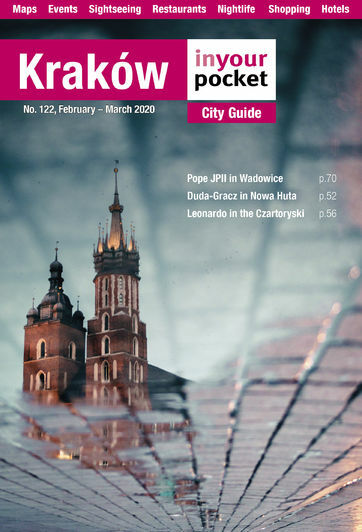 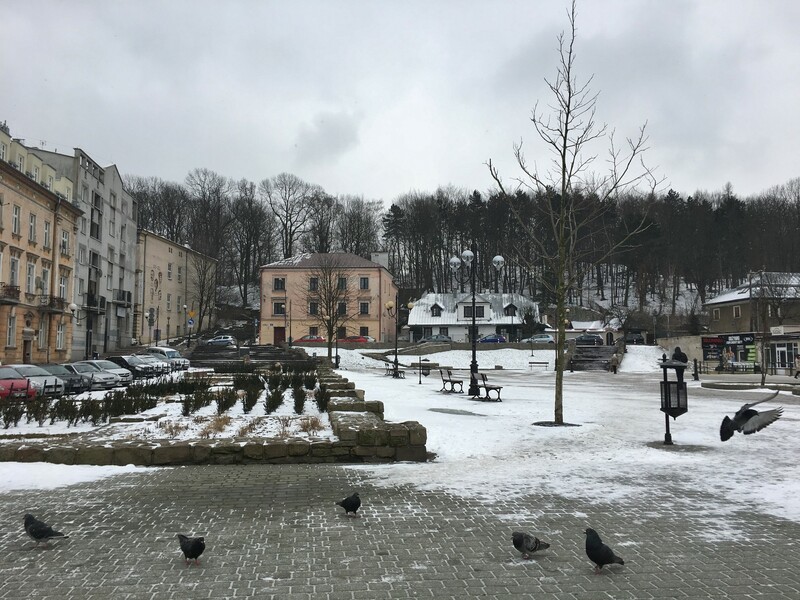 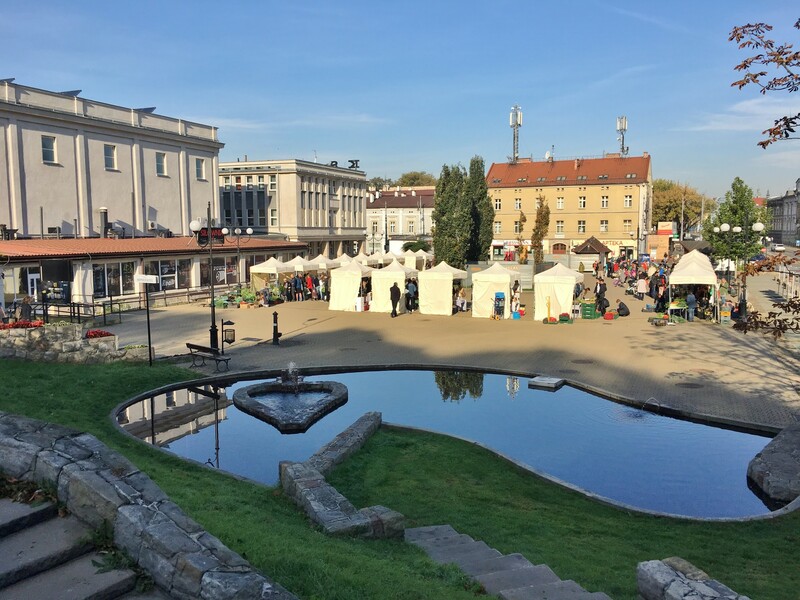 But Stawarz's uprising didn't stop there; he marched his new Polish army from Podgórze all the way to the market square, liberating the entire city as more soldiers and civilians joined the ranks of the emancipating army. 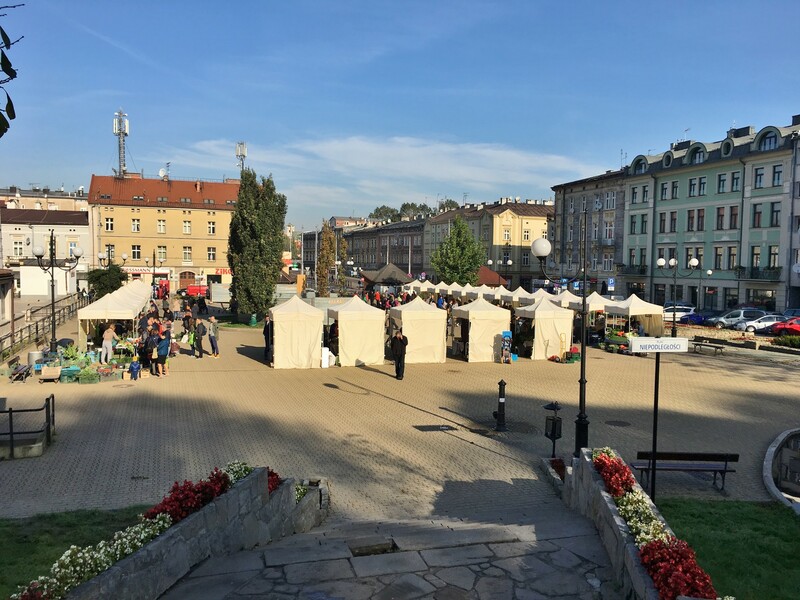 Though the rest of Poland would wait until November 11, 1918 to regain its independence, Kraków's began on this aptly-named square 11 days earlier. 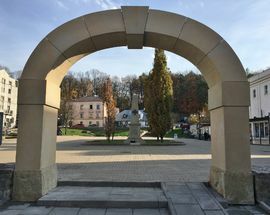 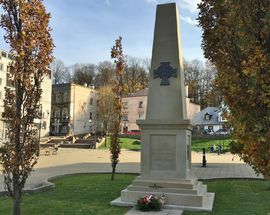 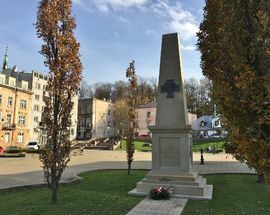 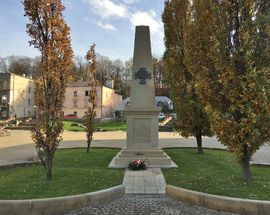 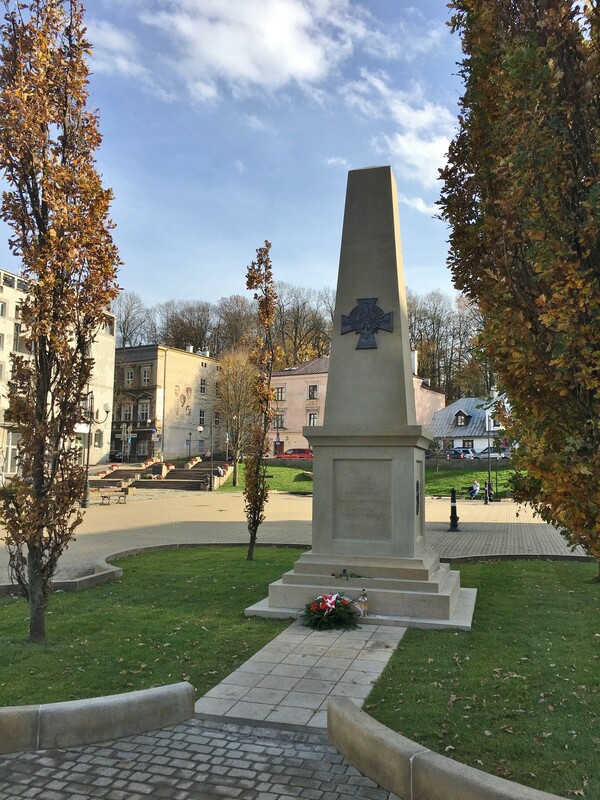 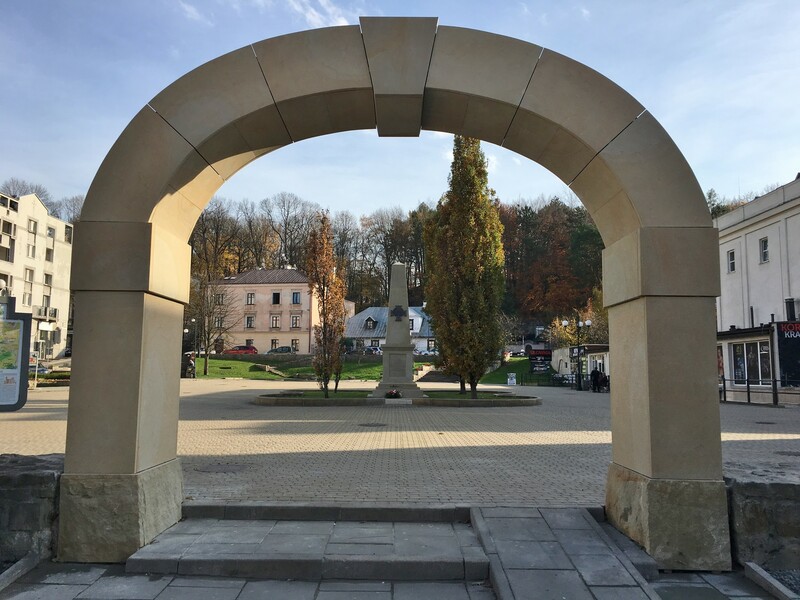 On the 100th anniversary of these events, a large arch leading into the square and commemorative obelisk were unveiled; a smaller plaque near the entrance to Bednarski Park also marks the events that took place here towards Kraków's independence in 1918. 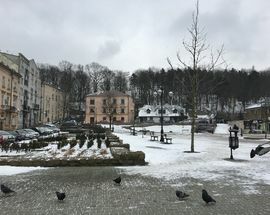 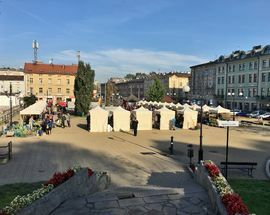 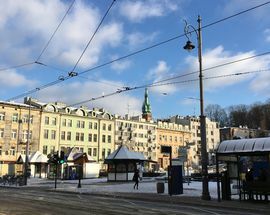 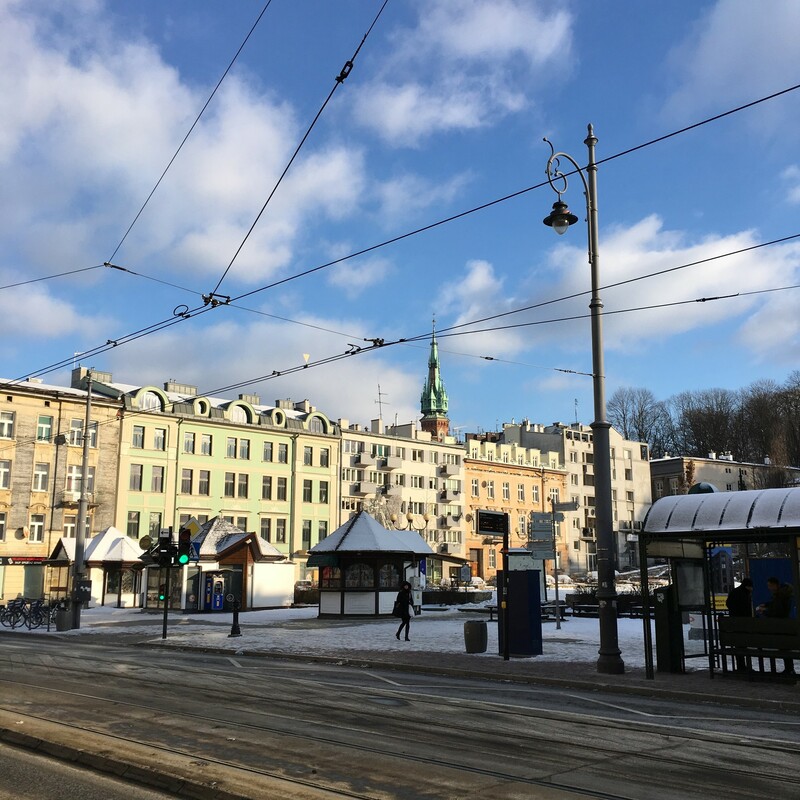 Located directly behind the Korona tram stop, today Plac Niepodległości's main role in the community is its hosting of a weekly farmers' market. 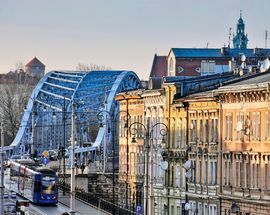 Kraków's best rock climbing gym.